I arrived in Dublin to start my Erasmus journey in january. Dublin is Ireland’s capital city, located in the east coast with population over half million and over a million in the area of Greater Dublin. City is full of history, culture, pubs, shops and restaurants. You can enjoy street music when you’re shopping or go to pub in the evening to enjoy live music and food. You can take a bus, LUAS or Dart to move around Dublin. Irish people are kind and friendly. There are lots of historical buildings, museums and activities to see and do. I’m in clinical placement for most of my erasmus time. Morning shift starts later and breaks are half longer than in Finland. I spend every week in a different modality so I got to see lots of things and ways of working. I think Irish people are more laidback what comes to working life. Finnish healthcare system, structure and equipments are more advanced than Irish. There are many things Ireland should learn from Finnish ways of doing things. In Ireland, studying radiography takes 4 years and radiotherapy is 4 years too. Irish radiographers seem to study more image reading but I wouldn’t say they’re superior to finnish radiographers. Finnish way of doing things, especially in healthcare is more strict. In Ireland, radiographers wear jewelleries and use strong perfumes, image quality is not as good and phone usage during shift is not a weird thing to do. Radiographers role has some differences between these two countries in some modalities but basic principles are the same. I spend my spare time exploring the city and Ireland. Dublin has so many things to see and do! Museums, cafes, pubs, restaurants, parks, shops, historical sights, monuments… Ireland is a small island which makes seeing places around Ireland easy. Buses and trains are not that expensive. Tourist bus tours are convenient for a day trip to see places that are hard to get via public transportation. During my time in Ireland, I got to know Dublin and Ireland’s history as much as I could. I also visited Northern-Ireland (Belfast, Giant’s Causeway and Carrick-a-Rede-rope bridge). I visited west coast (Galway, Wild Atlantic Way, Cliffs of Moher) and other places like Kilkenny, Cork, Wicklow mountains. I have gone hiking for some really beautiful places, visited fishing towns, experienced Irish music and dancing and cheered for local sport teams in a hurling match. My Erasmus experience didn’t start as well as I hoped but at least it wasn’t boring at all! The second day after my arrival I fell down the stairs in Dublin and sprained my ankle. First three weeks I walked with crutches and a boot on my leg. Through that accident, I got to see how helpful and kind Irish people are. I met so many nice people during those weeks who helped me in different kind of situations. Institute of Technology Tralee is quite a big college and also a really nice one. It has two campuses (North and South) and I’ve been studying at both. North campus is bigger and a new one and basically all social service classes are there. It is about three kilometres from the centre and south campus is about one kilometre away from the city centre. In the beginning, it was hard to catch up with the Irish accent, but surprisingly I got used to it really fast. The way of studying is different comparing to TAMK. There a teacher usually speaks the whole hour and your job is to make notes. Usually studying is not practical, but sometimes we had the possibility to talk in groups about a topic set by the teacher. We got a lot of assignments, actually I’ve never done that much assignments in one semester in Finland. But in the end, it wasn’t as bad as I thought. The most important thing there is to listen and make notes during the classes. I lived in Tralee Town Centre Apartments. The rent wasn’t expensive at all but the electricity bill was really high during winter time. The owners are super nice people and the most of Erasmus students lived there and I would say that it was definitely the best part of it! During these months I’ve been travelling a lot around Ireland. I’ve been spending time with my new friends, enjoying pub culture and Irish music. I was also a member of college music society where I met a lot of talented local people too. I also got to see Northern Ireland through Irish Experience Tours which I highly recommend because of their student prises. Ireland is amazing country and I love the atmosphere there. The most beautiful place was definitely Giant Causeway! Unbelievable. For me, Ireland feels like home. This country is so outgoing and relaxed! I don’t feel like going back to Finland at all, but unfortunately, I have to come back to do my thesis. This time here has really opened my eyes, I’ve learned so much about myself and about life itself that I’m forever grateful for this experience. I spent nine months in Ireland, more specifically in Tralee. The town is small, yet it has everything you’ll need: Penneys (Primark) and other shops, lots of pubs ranging from traditional Irish pubs to nightclub-like venues and restaurants. There’s also a beautiful, peaceful park in the middle of the town and it can be used to hang out or for sports. On the first semester I was an exchange student in Institute of Technology Tralee, studying social care, early childhood education and youth & community work. One semester lasts about 4,5 months, the first semester started in the beginning of September with the orientation week (parties, bbq and all kinds of events every day) and we had some of our final exams in the end of December and the rest of them in the beginning of January. On my second semester in Ireland I was doing an internship at Kerry Parents and Friends Association. KPFA offers residential care and day services for people with intellectual disabilities. Doing an internship in Ireland was also really great, I am happy that I got to experience that. Tralee is quite small, yet lively town in Kerry. Anyway, without all the other students to spend your time with, you’d be bored. 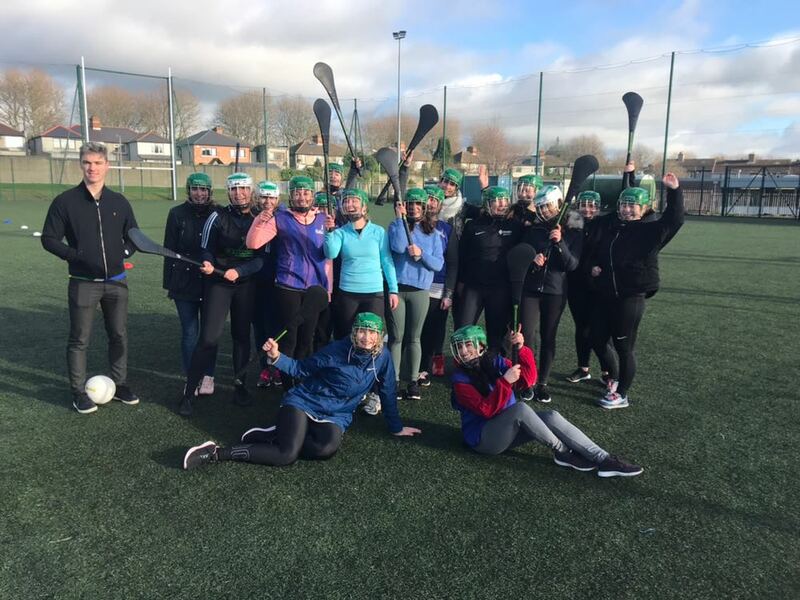 Getting to know other students is easy – IT Tralee has lots of different societies and sport clubs such as rock climbing, surfing and gaelic football, most of them for free. There’s also a water park (Aquadome), cinema and lots of pubs with traditional Irish music. Kerry is one of the best-known counties there on the southwest of Ireland, with lots of mountains and beautiful nature. The national park in Killarney is definitely worth a visit, for sure. Anyway, Tralee is not such a big city, so even from the town centre, you will be able to see the mountains and the beautiful Irish nature. You don’t have to go too far from the centre if you want to see sheep, mountains, cows and get to know the countryside of Ireland. Ireland certainly has some of the most beautiful landscapes you could wish for. Ring of Kerry is a popular route going through the coast of Kerry. Institute of Technology Tralee is quite small, but they’ve got a lot of international students from all around the world – there are about 3500 Irish students in ITT and 400 international students. During my Erasmus year in Tralee I got to know people from so many different countries even though you wouldn’t expect that! Studying in ITT felt more like being back to secondary school again – you need to know lots of things by heart, always attend all the lectures and in the end of the semester you’ll have the final exams. Anyway all my lecturers were nice and extremely helpful, they also helped me a lot with my internship even though they didn’t need to. That’s what Irish people are like – they’re kind, helpful and always up for a good craic (=fun)… and that is exactly the reason why Ireland is such an amazing country.